As global temperatures rise, plastic accumulates and valuable ecological habitats diminish, it can be difficult to remain positive about the future. But perhaps now is the time to remember how far we have come in so many areas and how we can play a role in accelerating the rate of change. By remaining strong, lobbying our governments, joining activist groups and continually making adjustments in our everyday lives, it is still possible to turn things around. Here is where we are right now. On the negative side, our use of oil is currently the highest it has ever been, and still climbing (1). Carbon dioxide emissions increased to their highest level during 2018, and are forecast to increase even further in 2019. In order to keep global warming to 2ºC, a target was set in the Paris Agreement to bring net carbon emissions down to zero by the second half of this century (2). So in 2019 we are still a long way from stabilising our carbon dioxide emissions, let alone reducing them. On the positive side, renewable energy now makes up around 20% of our electricity generation world-wide, and is coming down in cost, making it cheaper in some cases than fossil fuel-generated power. However, 80% of total energy consumption, including for industry, agriculture and transport, still comes from fossil fuels. Investment in renewables has to speed up dramatically if we are to have any chance of hitting the targets. Clearly, our governments have to come on board, by investing in innovative technology and creating incentives to switch to renewables. We know it can be done if governments are sufficiently enlightened - and thankfully, some governments are willing to take a stand. The UK now has a greater capacity to produce energy from renewables than fossil fuels (3), Spain recently announced its intention to move to 100% renewable energy by 2050 (4), while the US states of California and Hawaii have legislated for 100% renewable electricity by 2050 (5) , despite the Trump administration’s failure to act on climate change. Despite the enormous task ahead of us, it is important to acknowledge the huge steps that have been made. Some are convinced we have the technology available right now to replace fossil fuels with renewables while still providing a reliable source of energy - we just need to invest in them (6). Clearing of native land is disastrous for our planet. It means loss of habitat for increasingly vulnerable plants and animals, mass species extinctions and reduced biodiversity. Land clearing contributes to greenhouse gas emissions, removes carbon sinks, contributes to global warming through loss of the cooling effect of trees, and can adversely affect water ecology and rainfall patterns. As the world’s human population grows, we are under increasing pressure to clear more land for agriculture and housing. For too long we have looked at our native forests as something to get out of the way or to harvest, rather than as a precious and irreplaceable resource. Many of us in Australia point a finger at Indonesia and Malaysia, renowned for clearing subtropical rainforest for palm oil cultivation, or at Brazil for clearing Amazon jungle for agriculture. However Australia is one of the worst offenders amongst developed countries for land clearing, with around 5000 square kilometres of native bushland or regrowth cleared each year. The simple policy of banning or charging for single use plastic bags in some parts of the world has resulted in drastic reductions in plastic bag use. In Australia, since the removal of single use plastic bags by Coles and Woolworths in 2018, together with plastic bag bans legislated in most states, there has been an estimated 80% reduction in consumption of plastic bags in Australia (7). Some countries are working towards taking the plastic ban further, including the European parliament which hopes to ban plastic straws, disposable plastic plates and cutlery by 2021, with 90% of plastic bottles recycled by 2025. The tiny plastic beads added to a broad range of skin care, sunscreen and makeup products cause havoc for our marine life (see our blog on micro plastics here). They have been banned in rinse-off products in a handful of countries, but unfortunately they may still be used in most of these countries in both makeup and suncreen. This is probably the single most effective thing you can do to help our planet. Elimination of livestock farming would reduce the amount of agricultural land use by 75%. Meat and dairy farming account for 60% of agricultural greenhouse emissions (8). But is going vegan too hard? Invest in a great vegan cookbook and start by going vegan one day a week while you build up your repertoire of recipes. Any reduction will make a difference. Palm oil is a hidden ingredient in a huge range of foods ranging from snack foods, biscuits, chocolate, ready meals, bread, ice cream and breakfast cereal. Making your own is not difficult, and probably healthier. Alternatively, find products without palm oil. This means getting organised because it means taking your lunch, keep cup and refillable water bottle with you when you’re out. When buying packaged foods, choose glass, paper or cellophane packaging over plastic - they are less toxic for the environment and the contents. Buying from farmers markets and bulk food stores will also reduce your plastic consumption. Planning ahead is key, but incredibly rewarding when you see how the contents of your bin shrinks. Don’t like the excessive packaging on a product? Write to the manufacturer and let them know. The only way to get real change is to get government and business to make the right decisions for the planet. That means telling them directly that you want policy change, or helping out one of the many organisations whose mission this is. Organisations like the Wilderness Society, Greenpeace, Campaign to Save Native Forests, GetUp!, Australian Conservation Foundation and many others are all working to lobby governments and campaign for protection of our forests, oceans, rivers and wild places. Above all, vote wisely, and let your MP know you consider this issue to be a priority. Where you can, choose products certified by organisations that make a difference - Fair Trade, Rainforest Alliance, Orangutan Alliance, certified organic, palm oil free, cruelty free. Getting the certification is expensive for the business, but because they must be audited, you know you can trust them. Unless the logo is RSPO - you can read about how this organisation which was set up to certify sustainable palm oil has failed to fulfil its role, and allowed destructive palm cultivation practices to flourish (9). When you do buy wood or paper, purchase products with credible forestry certification system like FSC (10). Switching over to public transport and bicycle use when feasible means fewer car journeys, lower carbon emissions and better air quality. We need to lose our love affair with enormous petrol-guzzling cars and support the electric and hybrid car industry. When flying, go with an airline that offers carbon offsets to counteract the high carbon emissions of flying. The best option is to reduce the amount of ‘stuff’ you buy, so there’s not much you need to recycle. Pride yourself on finding furniture and household items from flea markets. What you do need to get rid of, recycle - that includes electronics, printer cartridges, batteries, plastic, glass, cardboard, paper - everything you can. Second hand, or ethically made clothes from natural fibres are best. And grow herbs and veggies at home if you can. Avoid plastic packaged products where you can, and at all costs avoid cosmetics, makeup and sunscreen containing plastic microbeads. 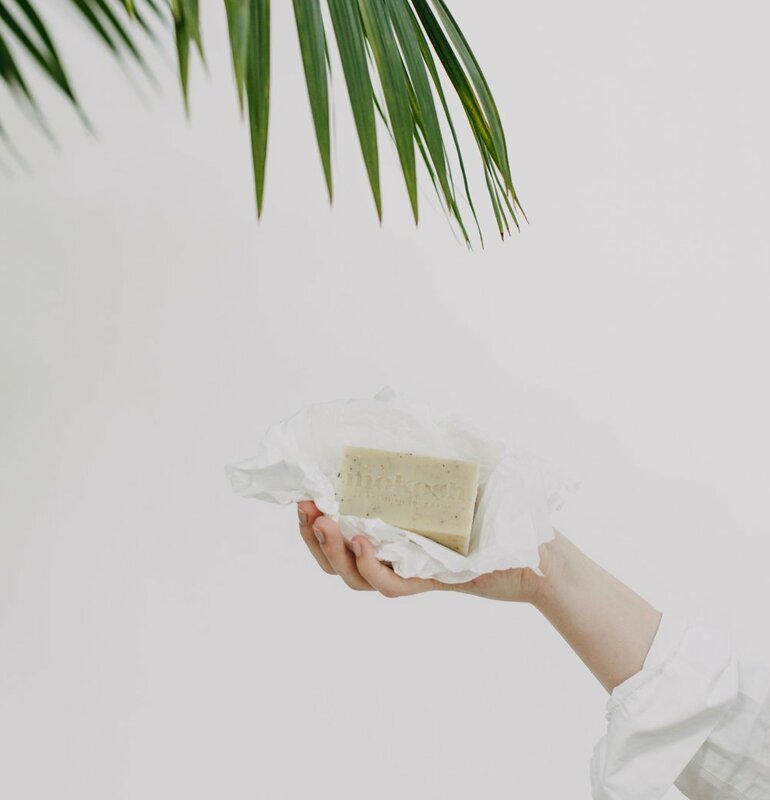 Choose palm oil free skin care, like Mokosh, and try to minimise the amount of shampoo and conditioner you use because there is still no accredited palm oil free or shampoo available.